Both Rebecca and I took a little time to come up with poems to our last set of words. So I was determined when she set me new words to get straight onto it. Fortunately the idea for this one came quickly. 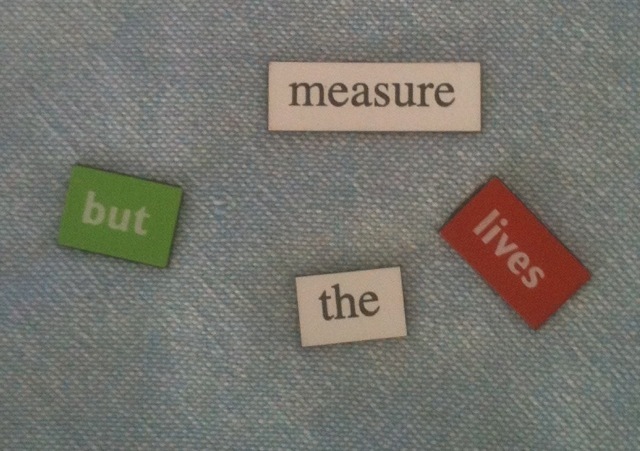 I think the arrangement of the magnets made me immediately think of measuring lives, and the rest just came. and who they’ll be remembered by. and the loves you love.